Oneida 5 Pc Hostess Set Reg $128 Now $25 Shipped! Here’s a hot deal you can grab in time for the holidays! 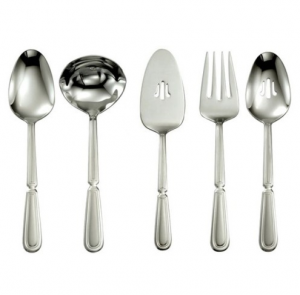 This Oneida 5 Piece 18/8 Stainless Hostess Set retails for $128 but you can get your choice of four different gorgeous designs for only $24.99 with free expedited shipping. Not only are these perfect for your holiday dinner, they’d also make a terrific gift for a special person on your list!